I came across this book from a list of “BBC Top 100” books. Somehow I felt like reading the book and I started the process. I haven’t read any book from John Buchan, so thought I would try him. Let me tell you in the beginning only. The book isn’t “that” fascinating, but still you can go and read for it has some nice old school English phrases and speech techniques. The book is a little fast at some point and a bit too much sluggish at the other. But it still catches your interest and you go on reading it. There is mention of some places in Early London. And if you are not aware of the different places (as I was not while reading it) you might find yourself lost in some paragraphs. But that doesn’t mean the writer should not choose the unknown places. What I feel is the writer wasn’t able to take the readers to the places he is describing in the book (at least he wasn’t able to take me there). The story is a suspense story and revolves around one character – the protagonist, Mr. Hannay, who is pretty bored of his normal, dull routine and feels there should be some adventure in his life. One fine day, he finds himself amidst the life threatening adventure. A spy comes to his home (why, I don’t know. Why he chose Mr. Hannay is something I too couldn’t figure out) having some information that Karolides will be killed. The spy dies after some days and his adventure begins. The running away from his home, being sought after fugitive and trying to find the solution while saving his own life – this is what the storyline is like. The book takes speed at some point and lags somewhere. But some of the incidents explained are really good and with nice twists. But let me tell you frankly, if you are accustomed to read the suspense stories from the likes of Sidney Sheldon or Sir Arthur Conan Doyle, then this suspense story will be a bit disappointing for you. Because these two people have upped the standards of twists and suspense so much that this story might seem to you like a normal one and you might say at the end, “Good Try at suspense story writing”. Hi Prasad, and welcome to Mixing It Up 2012! I’ve changed your Linky to link to anything you tag ‘Mixing It Up Challenge’ so as long as you tag your reviews I should be able to keep track of your categories throughout the year… Either that or you can create a challenge post and link everything back to that, up to you! Just let me know! Congrats on your first book down anyway – I read ‘The Thirty-Nine Steps’ last year and I thought it was more entertaining than exciting, I have to say. Lots of crazy coincidences and convenient disguises… rather forgettable, sadly. Oh well! 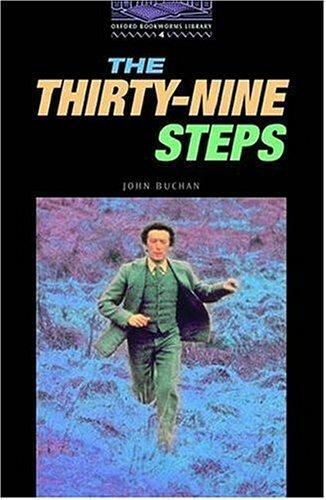 About “The 39 Steps” – true. It’s forgettable, sadly. The co-incidences and all fit in properly but somehow feel out of place. But anyway, it was a good read.